They may have mown down their own students with real tanks but what really scares the Chinese government is a stuffed, furry bear with a red tank top. A movie starring Ewan McGregor came out in cinemas on Friday, and covers the frankly rather boring honey-coated story of a series of improbable animal friends doing very little in a wood with not much in it. This farfetched scenario was the result of the fevered imagination of a man dealing with shell-shock in the aftermath of the First World War. A man desperately trying to connect with his young son through the written word – something he achieved for a short time before the story became a success, and he emotionally abandoned the young boy, leaving him in a perpetual state of fury for the rest of his childhood and scarring him for the rest of his life. We're talking, of course, about A. A. Milne's charming Winnie-the-Pooh. And the movie – Christopher Robin – is a saccharine yarn that ignores all the human misery and grotesque child-manipulation-for-profit that lurked just beneath the surface. But that isn't why the movie has been banned in China. 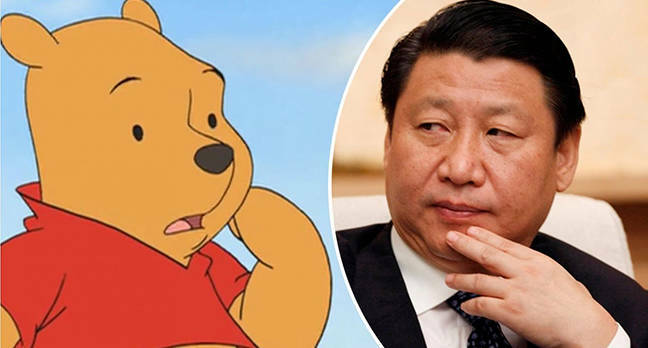 No, it's been banned in China because the egomaniac dictator in charge of the world's largest economy – Xi Jinping – looks a bit like the imbecilic bear. 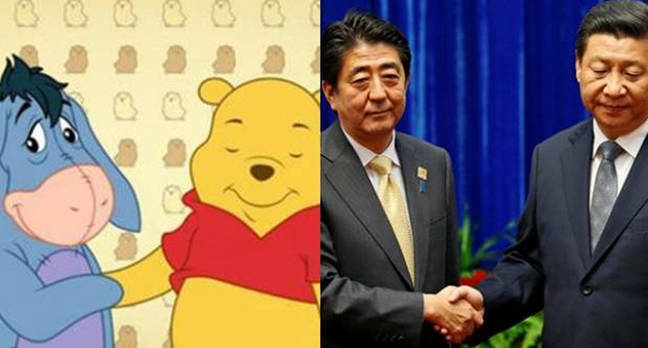 In fact, thanks to China's rampant censorship, oppressive online controls and persecution of anyone that makes the corrupt leadership look bad, Winnie-the-Pooh has become a popular way of making fun of the all-powerful Jinping. Which of course had led to the perfectly logical, not-at-all demented decision to ban pretty much any mention or image of the stuffed animal in the entire country. 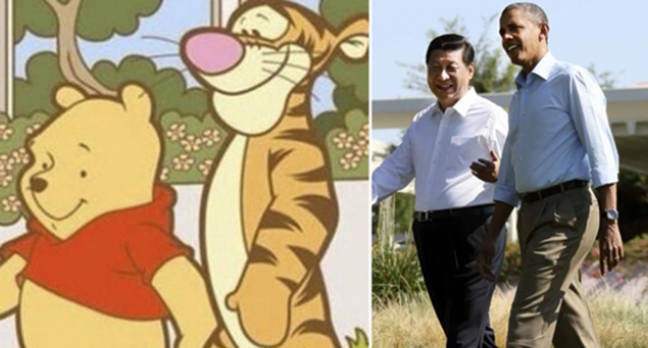 And that's why the CGI film about a pig, bear, donkey and whatever else doing child-like things has been given a big fat No from Chinese censors. Of course we may already be banned, thanks to our less-than-glowing coverage of its annual internet governance conference, where Westerners shamefully take part in a propaganda campaign in exchange for cash or access to markets. Or for covering its censorship efforts; including installing spyware on phones. Banning sitcoms. Blocking even cartoons of dead dissidents. Or covering the embarrassing time its own cyber chief used a VPN to get past his own censorship regime.